Sure, the slopes are a big part of what makes Colorado’s 28 ski resorts so popular, but there are plenty of other ways for kiddos to enjoy their time in the mountains. Here are some favorite non-skiing activities that are guaranteed to keep everyone occupied on your next winter family vacation. 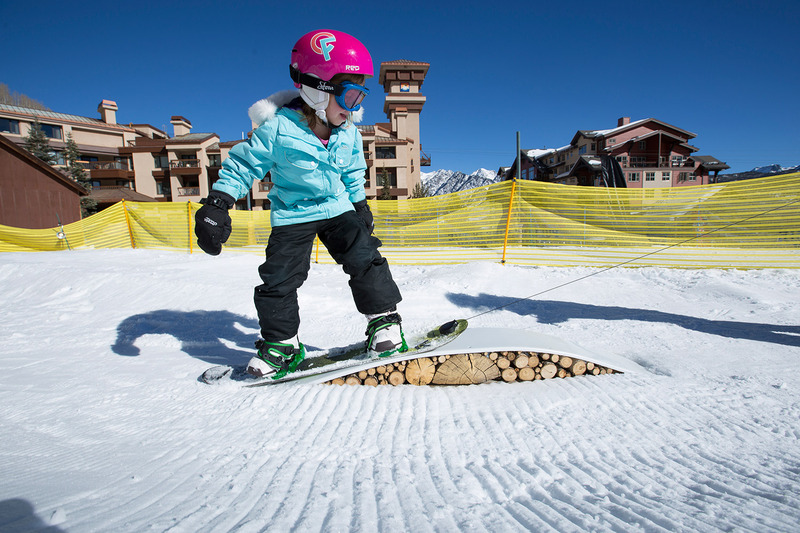 The Very Important Kids program at Snowmass is a favorite for youngsters. Arts and crafts at Snowmass. Tubing fun at Critterland in Copper Mountain. Learning to snowboard at Burton Riglet Park at Purgatory in Durango. Nighttime ice skating at Beaver Creek Village. Kids' snowmobiling track at Adventure Ridge in Vail. As the powder day winds down, a fun-filled itinerary is just getting started. 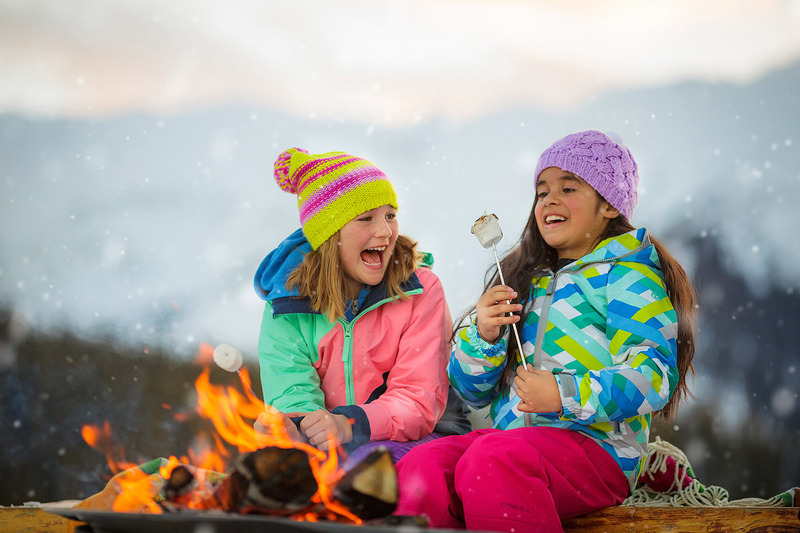 Free afternoon activities each day are a hallmark of the Very Important Kids program at Snowmass, whether it’s a magic show or sing-a-long and s’mores. 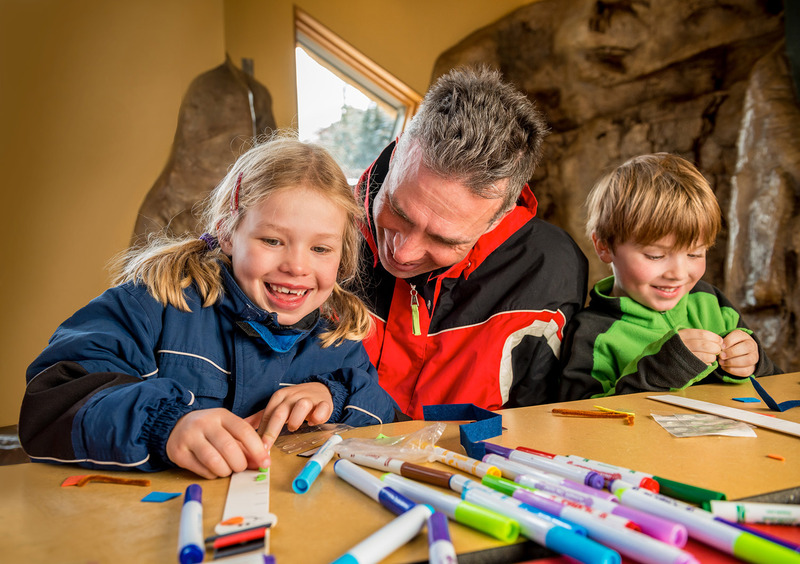 Look to Kids Happy Hour in Telluride for a pint-size version of après ski that serves up indoor craft projects. For parents that want a night out sans-children (it’s ok to admit it), know that you’re leaving them in good hands — and that they’ll probably be too busy to even notice you’re gone. Beaver Creek's program for teens, designed for ages 13–17, is an evening extravaganza that, depending on the day, could involve snowshoeing and pizza or a excursion to the Vail Valley Escape Room. Aptly named Kids Night Out at Durango’s Purgatory occurs on select dates throughout the season, with the promise of games, arts and crafts, movies and, of course, dinner. Little ones love to burn off steam outside, so what better venue to do just that than one meant especially for them? Critterland — located at Copper Mountain — is an interactive play place intended for the discerning 6-and-under crowd. Make friends with snow characters, crawl though the play structure’s tunnel, have a go on the Ducktopus Tubing Carousel and hang out in the Critter Crooked House. In addition to Kidtopia’s packed daily festival schedule in Keystone, the Kidtopia Snow Fort on top of Dercum Mountain is a sight to behold, complete with slides and mazes all constructed from a giant pile of snow. Another playground-like setting is Burton Riglet Park at Purgatory, where kids ages 3–6 can learn to snowboard. During happy hours at this terrain park throughout the season, youngsters take advantage of an hour with an instructor for just $15 — which includes a grown-up beverage for mom or dad. 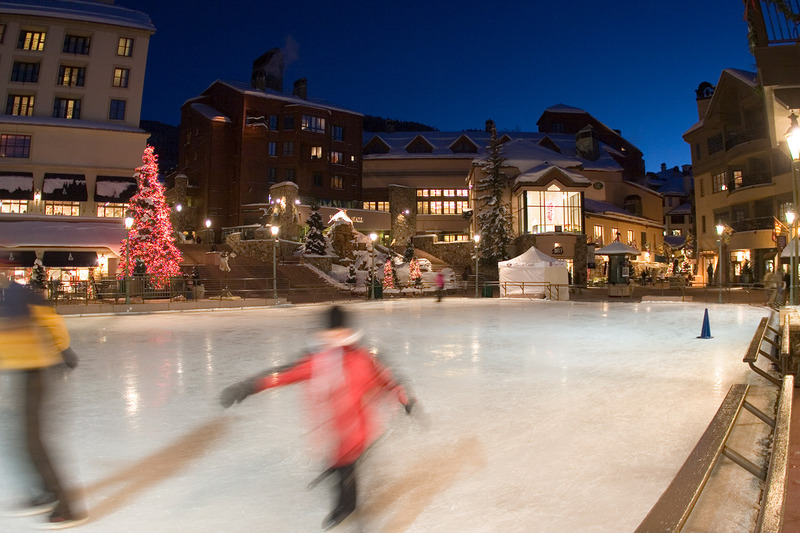 If you have a future Olympic figure skater in the family, let them practice spins and jumps on the ice rink located in the center of Beaver Creek Village. Weekly events like American Jukebox Skate Night on Sundays provide endless entertainment for kids and kids at heart (though you’ll have to explain to them what a jukebox is); or cozy up to one of the surrounding fire pits and warm up with a mug of hot chocolate. Take to the frozen 5-acre lake that anchors Keystone’s Lakeside Village for a pick-up hockey game or ice skating. There’s more than one way to zoom down a snowy mountain, including a grin-inducing ride on an inflated rubber tube. Purgatory’s Snow Coaster Tubing Hill has three lanes that are lit at night, meaning you can slip and slide into the evening. Once you make it down the banked curves and jumps of Copper Mountain’s tubing hill, a magic-carpet lift will whisk you back up to do it again! 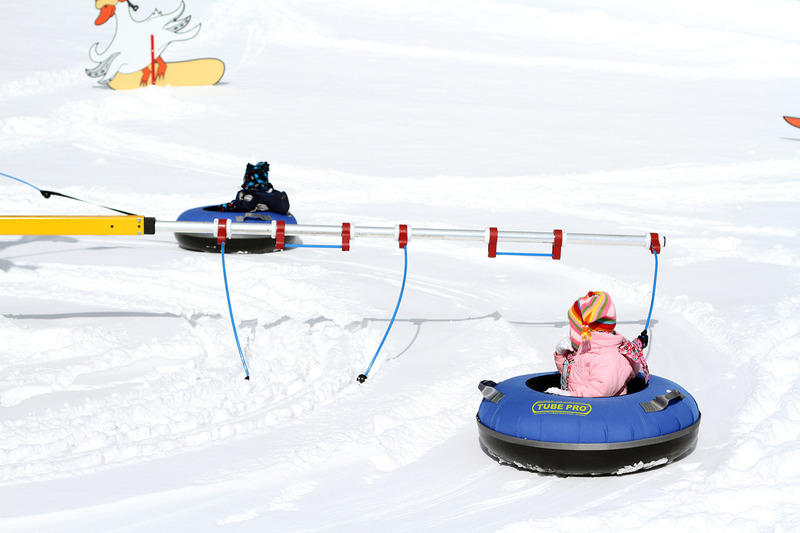 Plus, double tubes are available to rent — perfect for a parent/child pair. The newest spot for tubular amusement in Colorado is Coca-Cola Tubing at Winter Park. After the kids get their fill, thaw out at the Hill House warming hut to snack on fresh-baked cookies. If skiing and snow tubing just aren’t enough to satisfy your young daredevils, send them in the direction of special attractions, like Crested Butte’s Adventure Park. The gravity-defying bungee trampolines send riders soaring up to 30 feet in the air, or try out the 28-foot climbing wall. Meanwhile, February through April, the Coca-Cola Adventure Zone in Steamboat has its own version of a trampoline bungee jump, slingshot-style. And don’t miss the excitement of a football-stadium-size snow park in Vail. 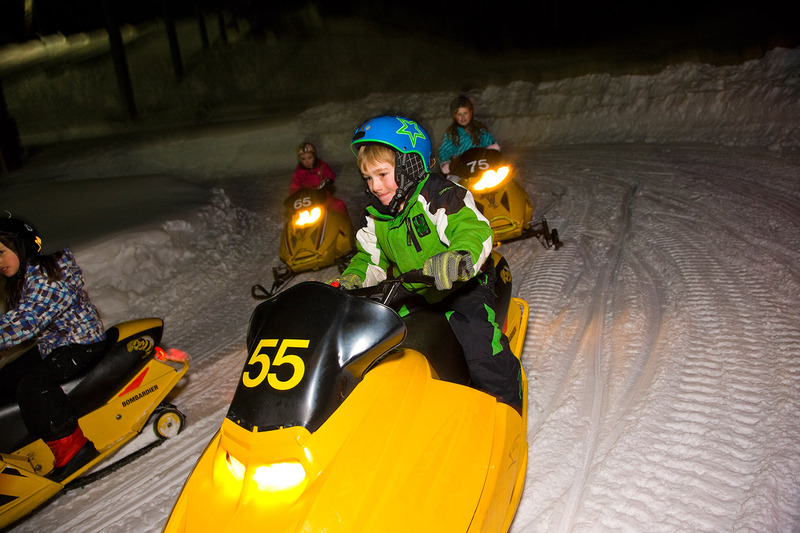 Adventure Ridge aims to excite with ski bikes, tubing and a kids’ mini-snowmobile track called the Blizzard Speedway. Being up in the mountains is a perfect opportunity for your child to learn more about their surroundings. EcoXploration in Telluride allows those in the 5–12 age bracket to connect with the environment through a full day of programs — geocaching, winter wilderness survival, and trekking and tracking. Your son or daughter may return striving to become the next Bear Grylls, or at the very least have a deeper appreciation for the great outdoors. In Vail, hop on the Eagle Bahn gondola to access the Nature Discovery Center, with its assortment of exhibits on natural history and local wildlife inside a yurt. On Wednesdays you might catch fire-prevention mascot Smokey Bear skiing around (as bears do); or sign up for a free snowshoe tour (age 10 and up) that touches on winter ecology and how animals adapt in cold climes. Bring everyone back together with activities that cater to families. Ullr Nights is a Snowmass winter wonderland party in honor of the Norse god of snow. On Fridays, take the gondola up the mountain to Elk Camp for live music, a bonfire, snow slide, vast buffet of culinary creations and other merriment. Another chance for bonding happens at Beaver Creek’s Family Funfest Carnival on Saturdays. The free event guarantees a good time with prizes awarded for games of skill, caricature drawings and more. Let your brood roll out of bed and head straight to Pajama Family Brunch at Keystone’s Bighorn Bistro. The Sunday occasion calls for a fun-size breakfast buffet for the littles, and a mimosa or bloody mary for parental units. Afterward, pay a visit to Ready Paint Fire, an art studio with paint-your-own pottery and canvases. Read up on more off-the-slopes fun across the state, get the scoop on ski and snowboard lessons, and discover fun summertime activities for families at Colorado ski resorts.